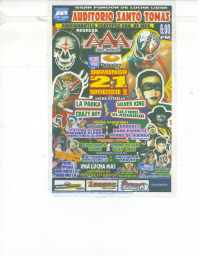 1) Ángel Dorado II & Arhgo vs Manico Crazy & Obiturary Jr.
3) Cibernético & Silver King vs Dr. Wagner Jr. & La Parka Jr.
1) Monster Clown, Murder Clown, Psycho Clown vs ?, ? ?, ?? ?